Geothermal ecosystems are globally rare and are an iconic feature of the New Zealand landscape. Yet, little is known about the unique populations of microorganisms (Bacteria and Archaea) which inhabit these environments or the ecological conditions that support them albeit unique and extraordinary enzymes can be isolated from them. 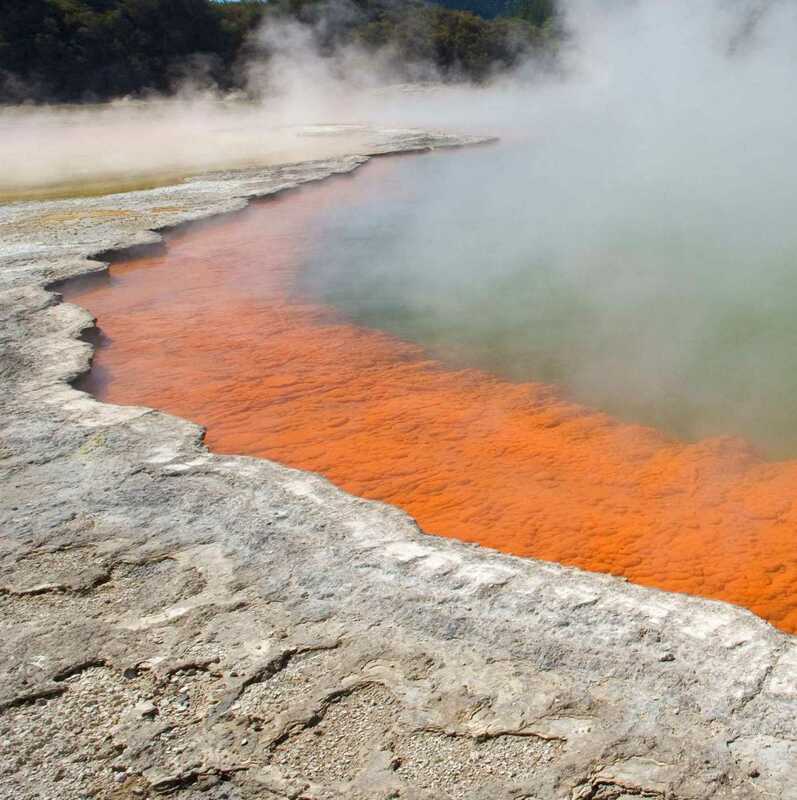 Here we share a catalogue of the microbial biodiversity and geochemical information for 1,000 geothermal hotsprings in New Zealand’s central North Island. Check out our spring of the day! Hotsprings and heated soils are potentially dangerous natural features. The information about the hotsprings on this website reflects the condition of the spring at the time the sample was taken. This temperature and other information on this website should NEVER be used to assess the safety of a spring for bathing or for any other activities in or near the spring.